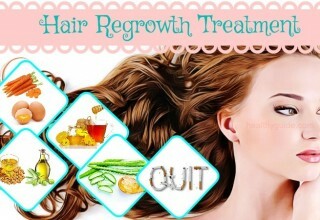 Hair loss is well-known health issue in the nowadays and many people are suffering from this problem. Since hair is considered one of the most important part of the body which decides and enhances people’s physical appearance, thinning and balding hair are common problems that many people in the world want to fix as soon as possible. The hair type of each person depends on their own genetic nature, the foods they eat, and the climate of where they live. Some of the common trigger factors of hair loss are the use of wrong products, poor hair care, pollution, allergies, nutritional deficiencies, emotional and physical stress, and hormonal imbalances. Our hair is the important factor that can enhance (or worsen) our appearance; so many of us spend large amounts of money on hair-care product items to achieve desired volume. Hair thinning is unavoidable and can affect both women and men of all age levels irrespective to race and stature. Some of the common factors that may contribute to thinning hair issue are heredity, poor hair care routine, excess emotional or physical stress, allergies, pollution, use of wrong hair care products, nutritional deficiencies, and hormonal imbalances. If you are suffering from thinning hair, you do not need to spend money on expensive products and treatments. There are several natural treatments that can aid in thickening and promoting voluminous hair. People might have hair loss at some stages in life but people can always make use of natural treatments to get healthy hair and increase its volume effectively as desired. These are safe and cheaper. Natural treatments could be done right in your kitchen to improve the thickness of the hair without adversing any side effect. Then why you still hesitate about it? 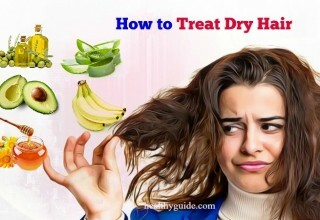 Now, in this article, you should keep your eyes on best tips on how to get thicker hair strands on the Haircare section of the Healthy Guide site. Regular protein cure is extremely needed for people to enjoy thicker and stronger hair. To get a protein hair cure, then you should consider eggs as your very first choice. According your hair’s real length, prepare 1 – 2 eggs and beat it (them) properly. Use the egg to apply directly right onto your wet hair and let it stay within about half an hour. Rinse the hair thoroughly with shampoo and lukewarm water. You can make use of this protein cure 1 – 2 times per week. 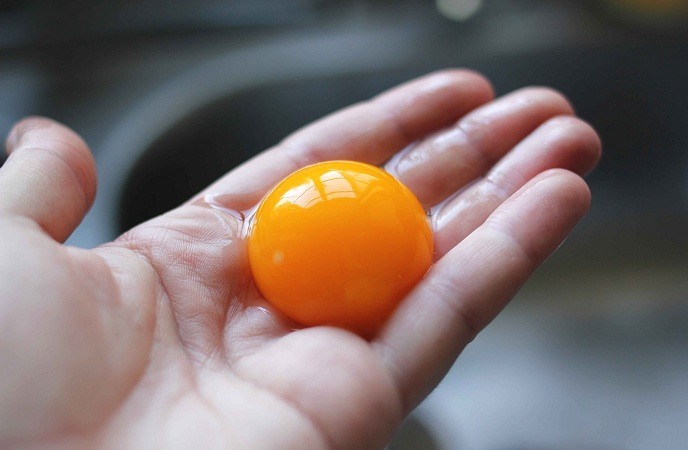 Alternatively, you can combine 1 egg yolk, 1 tbsp. of the hair oil type that you want and 2 tbsps. of water. Massage your scalp gently and carefully. Apply this method 1 time per week to achieve thicker hair as desired. 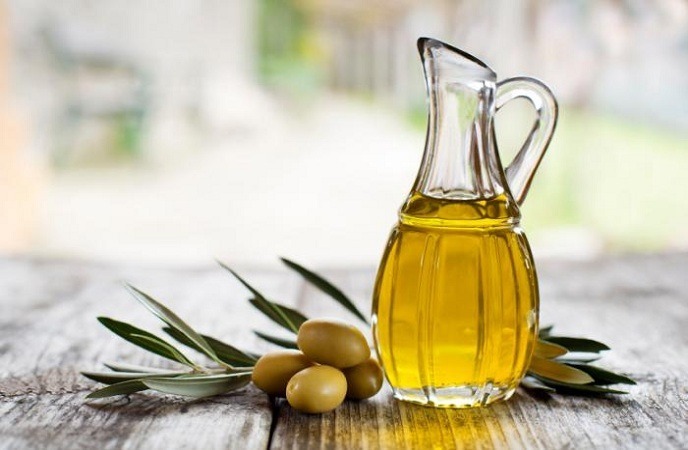 Using olive oil is also one of the most amazing tips on how to get thicker hair in one month that people should not look down! Olive oil can strengthen your hair and improve its overall health and appearance. 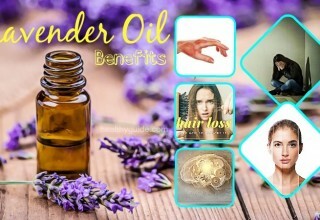 In addition, this natural essential oil can help to strengthen and make your tresses smooth as well! Olive oil has omega 3 fatty acids, which can work effectively as a natural hair moisturizer and can aid a lot in preventing dandruff as well. It can help to prevent frizzy hair that could be a trigger factor of the split end issue as its fatty acids can coat the shaft of the hair. Olive oil will make your hair shinier even if it is currently heavily damaged and dry just by coating your hair’s outer layer, making them look more healthful and smoother. You can also try massaging your scalp and hair with warm olive oil and allow it to stay within about 30 – 45 minutes at least if you really want to make use of this natural home remedy. Wash your hair thoroughly with a mild shampoo of your favorite to rinse your hair and scalp off. You can also try leaving your hair’s oil overnight and then shampoo the hair after sleeping. Another choice for you is to combine honey and olive oil together and use this mixture to apply directly onto your hair. Let it stay for half an hour at least and then rinse your hair off. Both of these remedies, no matter which you will choose, should be applied 1 – 2 times per week for good! People can use avocado as one of the best natural home remedies for hair loss and hair thinning because it can work well as a perfect moisturizer and can help to nourish your hair. 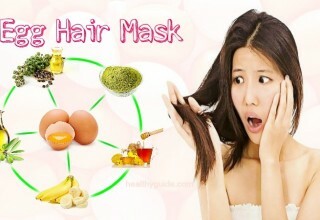 In addition, the vitamin E content of this fruit can help to build and maintain the overall health of the hair shaft. 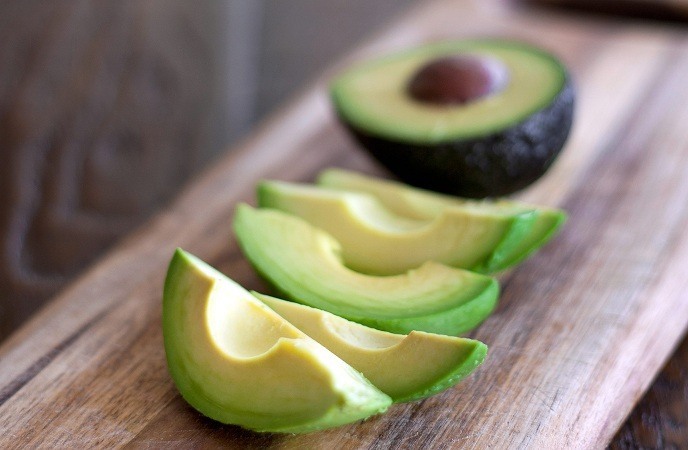 Avocado can help to revitalize and rejuvenate dry and damaged hair as it is jam-packed with 25 essential nutrients, such as vitamin A, vitamin B, vitamin C, vitamin E, vitamin K, and minerals like phosphorus, potassium, magnesium, copper, and iron. Mix a mashed avocado, a mashed banana, and 1 tsp. of olive oil together to make a paste. Massage it onto and all over your scalp and allow it to stay still within about half an hour to allow the scalp to absorb the nutrients completely. Finally, wash it thoroughly and shampoo your hair as usual. Try making a hydrating hair mask with just 2 tbsps. of wheat germ oil and 1/2 ripe mashed avocado mixed together. Use this hair mask to apply on your hair (freshly shampooed) and let it stay for 20 minutes at least. Wash your hair off thoroughly and shampoo it as usual. Use either of the 2 avocado hair masks mentioned above 1 time per week to achieve the best results as desired. Fenugreek seed is an antidote for hair loss and also a culinary herb that is widely used to add to cooking all over the world. 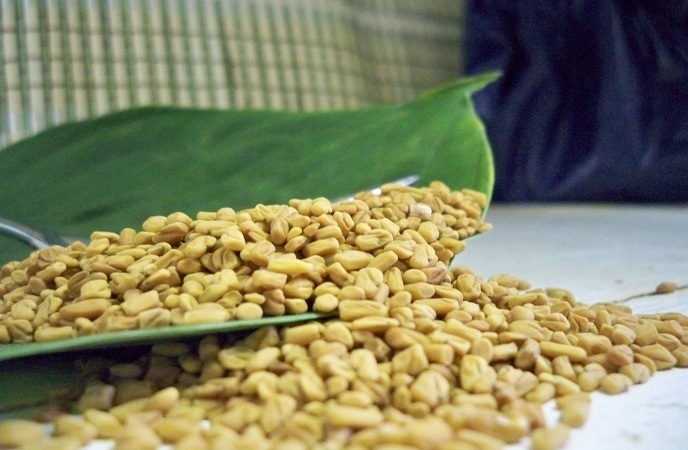 People, in fact, can use fenugreek seeds to prevent hair loss and develop hair much better. Soak 2 – 3 tbsps. of fenugreek seeds in water within eight to ten hours. To create a fine paste, grind the soaked seeds. You can also mix 2 tsps. of coconut milk in this mixture for even better result. Use this combination to apply directly onto your scalp and hair and let it stay still within about half an hour before using lukewarm water to rinse your hair off. 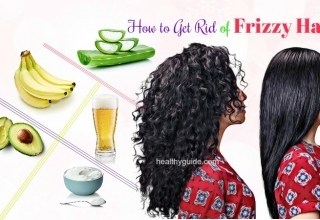 If you apply this method regularly every week, then this remedy will help you a lot in preventing dry scalp and bringing to you brand new thick hair appearance as desired. On the other hand, you can use fenugreek seeds soaked water (keep them soaked in the water overnight) as a hair rinse. 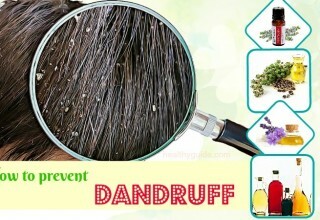 This will help to speed up your hair’s growth and help to clear the dandruff issue if you have as well. Apply this method 1 – 2 times per day for good! 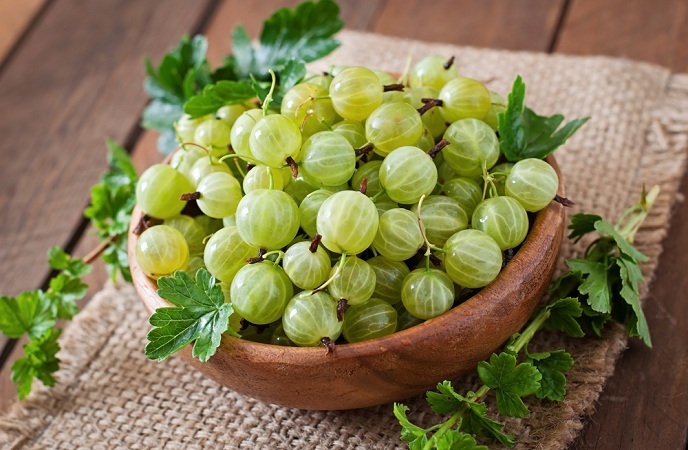 The powerful anti-inflammatory, antibacterial, antioxidant, and exfoliating abilities of Indian gooseberry can help to maintain better hair growth speed and a healthy scalp at the same time effectively. First, try mixing 1 tbsp. of amla powder or Indian gooseberry powder in 2 tbsps. of coconut oil and heat till it is boiling. Before going to bed, strain the oil and use it to massage directly onto the scalp. Shampoo your hair as usual the next morning. Apply this method every week on a regular basis until you see the improvement you desire before. On the other hand, you can try mixing ¼ cup of warm water in ½ cup of powdered Indian gooseberry and allow it to stay within ten minutes. Use this paste to apply directly right onto your hair and allow it to stay still within fifteen to twenty minutes before washing your hair off. Avoid shampooing your hair for 2 – 3 hours. Reapply this method every few weeks to achieve the best results as desired. Besides, try taking the Indian gooseberry fruits and natural Indian gooseberry extracts, or even a dietary Indian gooseberry supplement to make your hair healthy. Mix equal parts of coconut oil and castor oil together and heat the mixture well. You just need to use the castor oil – coconut oil mix to apply directly onto your hair. However, it may tend to be too thick for some people. Use the past to apply onto your scalp and hair and try massaging gently in circular motions. To remove tangles and distribute the oil mixture throughout the hair, comb your hair thoroughly. Use a towel dipped in warm water to cover your hair. Allow it to stay within 60 minutes at least and then shampoo your hair as normal. Reapply this remedy 1 time per week to get thick and lustrous hair. 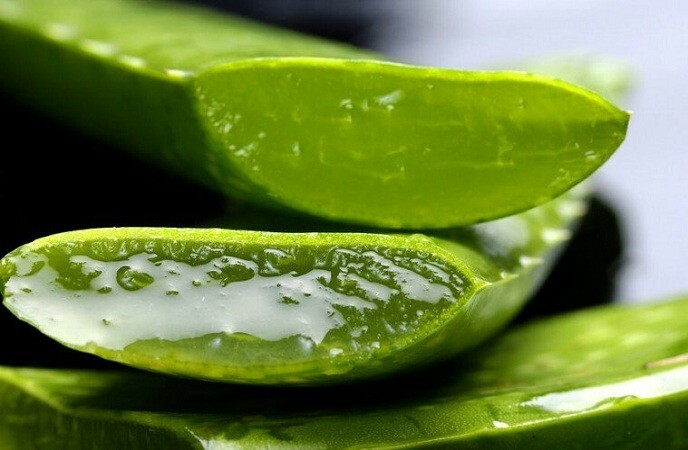 Aloe vera, thanks to its moisturizing quality, is another very common ingredient that could be used to get thicker hair. 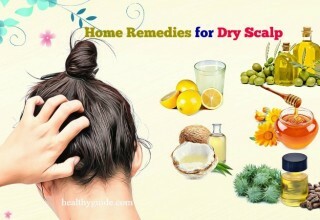 It can also aid a lot in restoring the scalp’s pH balance. First, try extracting the gel from 1 – 2 aloe vera leaves and use the gel to rub directly onto your scalp. Let it stay within about half an hour before using lukewarm water to rinse your hair off thoroughly. Apply this method 1 – 2 times per on a regular basis. Another choice is to combine fresh aloe vera gel with 2 tsps. of coconut milk and use the mixture to rub onto your scalp. Allow it to stay still within about 30 minutes before shampooing your hair to rinse it off. Apply this method 1 – 2 times per week until you see desired improvement. You can also try consuming 1 tbsp. of aloe vera juice every day before eating anything in the morning to get better overall health and hair growth. Applying henna leaves is another simple way to promote thicker hair naturally at home as well. Henna leaf is the most common, well-known herbal remedy for beauty in India. It is obtained from Lawsonia Inermis leaf with anti-fungal properties and red-orange dye, giving human hair a healthy and natural appearance. Henna leaf is not just used to cover gray hair, but it can strengthen your hair, giving it shiny and voluminous look. Henna leaf would give your hair a natural, rich color and make it softer, thicker, and less prone to breakage. Grind some fresh henna leaves with a sufficient amount of water to create a fine paste. Allow it to stay for 2 hours and then use it to apply onto your hair. Use a shower cap to cover your hair. After 2 – 3 hours, shampoo your hair thoroughly to wash your hair. Another choice is to combine enough water in powdered henna to create a paste with a yogurt-like consistency. 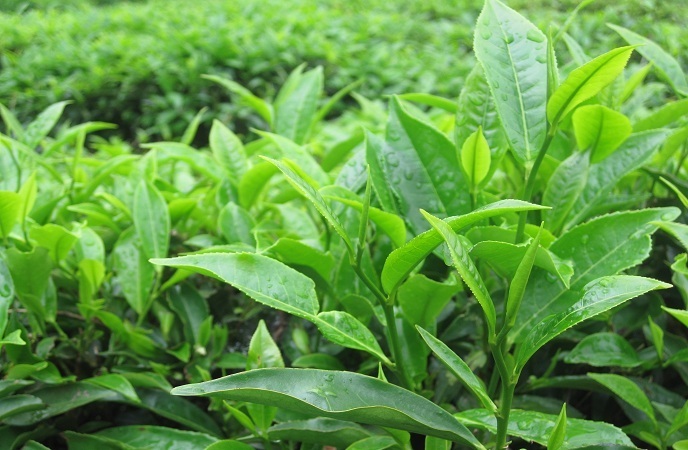 Instead of pure water, you could also use green tea to condition your hair well. Let the henna paste to stay still overnight. The following day, add to this mixture with 1 raw egg and 2 tsps. of lemon juice. Use the mixture to apply onto your hair and let it stay till it completely dries. Last, shampoo your hair and wash it off. Note: Ensure to wear your gloves when you use henna and apply the paste directly with a hair brush to avoid staining. 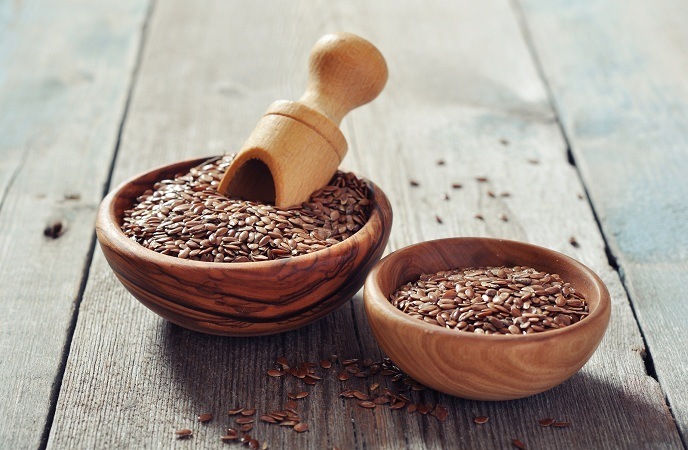 Flaxseed is an abundant source of omega – 3 fatty acids that can help to nourish hair follicles, and vitamin E – a powerful antioxidant, responsible for nourishing the hair, scalp, shaft, and hair roots. This can aid a lot in increasing the luster, preventing hair loss, and increasing hair volume while also expediting hair growth. If you use flax seed oil on a regular basis, you will be able to get rid/prevent of dandruff, scalp eczema, acute hair loss, and offer the hydration needed for maintaining healthy looking hair. Soak in water with ¼ cup of flaxseeds and let it stay overnight. The following morning, over high heat, boil the flaxseeds with 2 cups of water and stir it occasionally. When the mixture is thick as needed (like foamy jelly), take it out of the heat and strain your gel. If you want, try adding 3 – 5 drops of your favorite essential oil to the mixture. Let it cool and apply that homemade hair gel onto your hair and scalp with a gentle massage. This flaxseed gel is extremely perfect for wavy or curly hair owners. Alternatively, you can try eating freshly ground flaxseeds to promote thick and shiny hair texture. Besides, try making use of flaxseed oil to achieve the same results. A healthy diet abundant in various minerals and vitamins, as well as protein is super needed for healthy and thicker hair as a prerequisite factor. B vitamins and protein, particularly, promote longer and thicker hair. 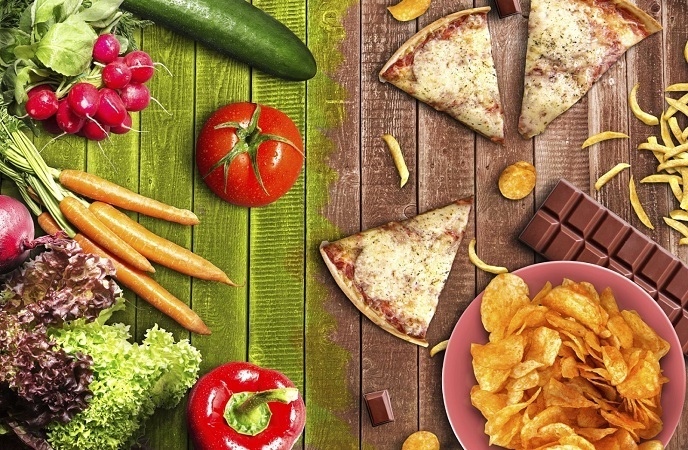 Thus, add more Greek yogurt, eggs, milk (has higher amount of protein than the yogurt your often eat), fresh green veggies, whole grains, seeds, nuts, legumes, beans, fatty fish, and poultry into your daily diet. The simplest tip on how to get thicker hair for women and men is to use pure coconut oil to gently massage your hair on a regular basis. 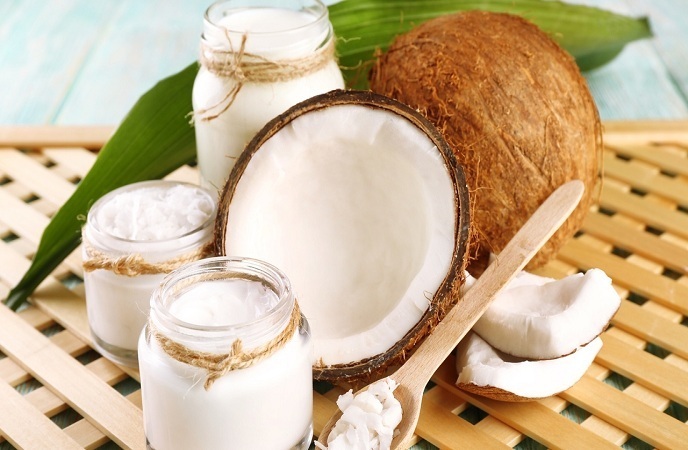 Coconut oil can help to reduce protein loss and retain the moisture essential for well-nourished and strong hair. It has antibacterial properties and nutrients that are responsible for protecting scalp and hair from infection and bacteria. Before you massage coconut oil onto your scalp and hair, you need to heat it first to increase its effectiveness. Remember to massage the oil onto your hair and scalp in a circular motion with your fingers to increase blood circulation and support the hair shafts and follicles in absorbing all essential nutrients from coconut oil. Use a warm moist towel to cover your hair and let it stay within about 60 minutes. Shampoo your hair and give it a good conditioner as usual. Repeat this method one time per week for strong and thick hair. The best protein cure for thicker or stronger hair is egg yolk as it is jam-packed with vitamin A, vitamin D, and vitamin E to protect hair from pollutants, chlorine, and UV rays, as well as preventing hair thinning. It is very abundant in sulphur and is an excellent natural source of lecithin. 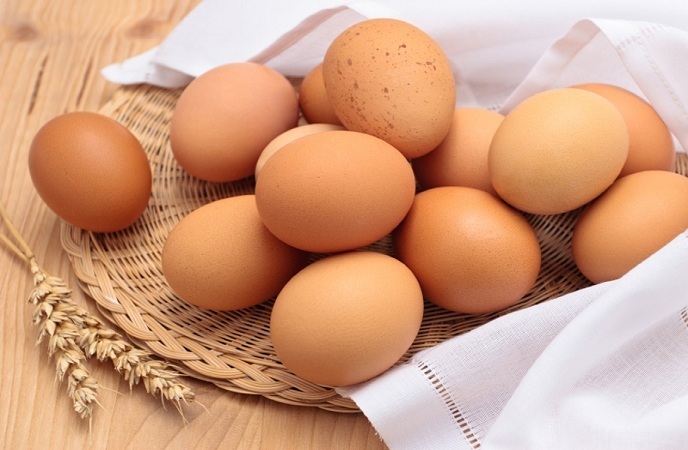 Take 2 eggs (medium-sized) and use it to apply onto your hair and scalp when the hair is still wet. Let it stay within ten minutes, and then use lukewarm water to wash your hair followed by the type of shampoo you love. You should apply this method as a regular treatment 3 times per week at least. Besides, you can mix 1 egg with 2 tbsps. water and 1 tbsp. olive oil, and then use this mixture to apply directly onto your hair. Apply it to your scalp and hair and allow it to stay still within about fifteen. 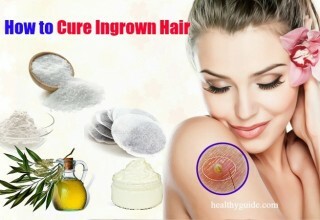 With regular cure, you will get your hair growing stronger and thicker noticeably. 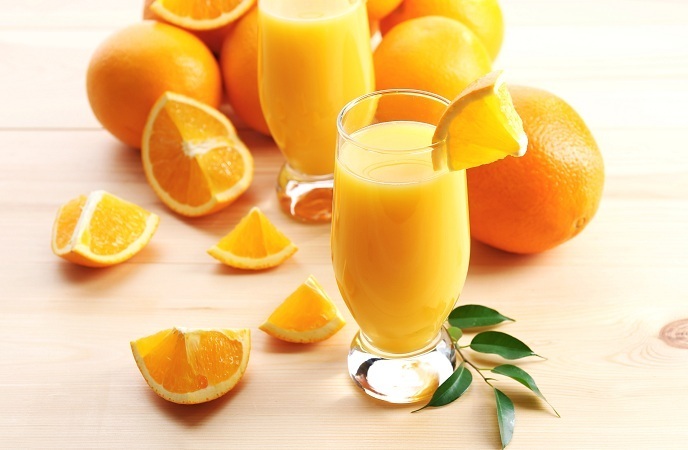 Orange juice is also one of the best tips on how to get thicker hair and refresh hair smell. It can help to promote thickens hair, hair growth, and is wonderful for curing dandruff. To make use of orange to promote thicker hair, slice an orange, peel them all, and put them into a food processor till you get a fine pulp as needed. Try applying this pulp directly onto your hair and allow it to stay within 20 minutes. 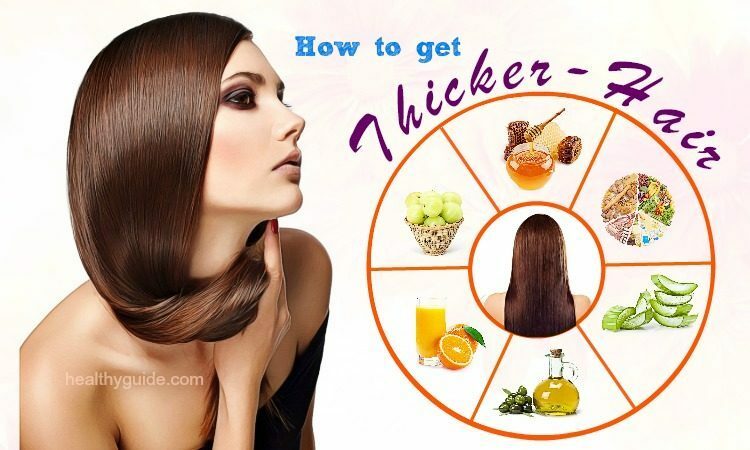 Apply this method 1 time per week to achieve thicker, fuller hair in a few months or until you see desired improvement. A mixture of apple puree an orange juice is also a useful method that can help to push hair growth and increase the thickness of hair naturally. Repeat this method within about half an hour 1 – 2 times per week is perfect for promoting thick hair. After that, you should rinse it off thoroughly. You will not need to apply any type of shampoo if you do not want. 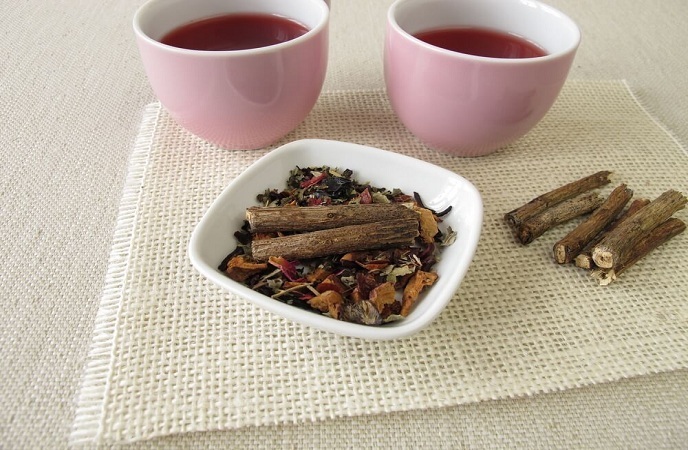 Sweet and not sweet licorice herb can all be one of the most efficient cures for hair thinning and hair loss. Egyptians Licorice has powerful ability to sooth irritated, dry skin and scalp. It is such properties that can aid a lot in nourishing hair shaft and opening the pores of your follicles and scalp effectively. 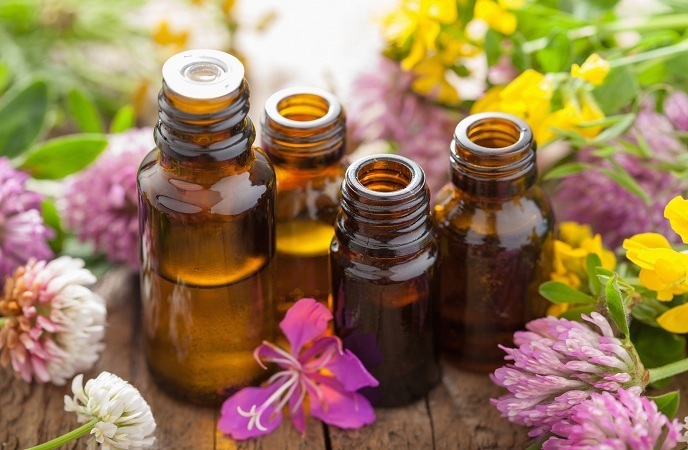 Essential oils can help a lot in dealing with and beating off many types of health issues and diseases. They are equally efficient in making your hair thicker and fuller. For instance, rosemary oil can increases cell divisions and work well at cellular level. 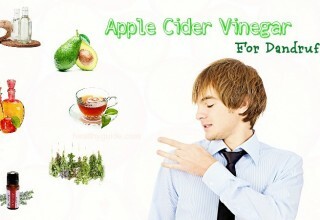 It can also help to expand the blood vessels which can help to proper blood circulation. Both atlas cedarwood oil and lavender oil have long been used by aromatherapy practitioners to treatment alopecia (hair loss patches). Jojoba oil provides great hydrating and moisturizing properties so that it can help to moisturize deep into our hair follicles. 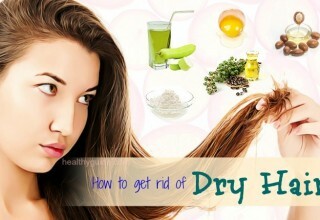 It can also help to repair dry damaged hair and improve blood circulation. Apply this method to create your own homemade essential oil mixture that can work excellently for speeding up hair growth. Thanks for its high content of sulfur, onion can not only make your dishes more delicious but also support your hair in growing thicker and fuller. Blood circulation will be able to increase and also add more power to your hair by opening up your hair roots’ pores. These hair follicles sometimes get blocked due to oils, soil, or some diseases. Sulfur can also help a lot in improving the production of collagen in your tissues which can help to grow hair faster and fuller. 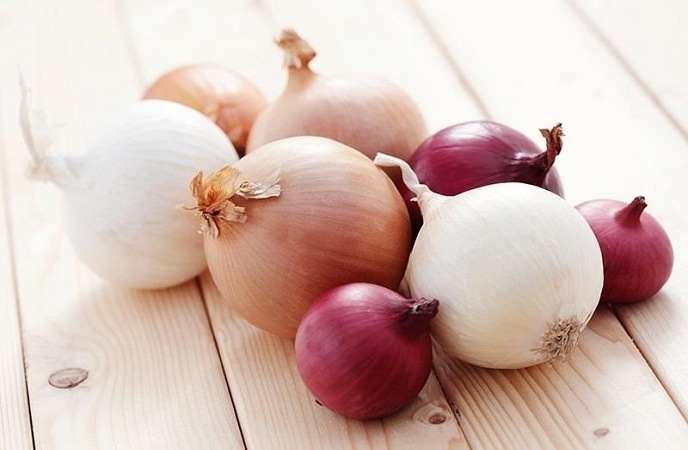 Shallots and red onions have higher sulfur levels so that you can try with your own effort to utilize these sorts if you want to thicken your hair. Smash the pieces of onions to get their juice. Use the juice of the onions (shallots) to apply onto your own hair and scalp. Allow it to stay still within fifteen to twenty minutes. Use a shampoo to rinse your hair off. The deficiency of nutrients necessary for hair is among the most important reasons that can lead to baldness and hair loss. If you cannot take enough nutrients for hair from your daily diet, then your hair will gradually get feeble and start falling off. 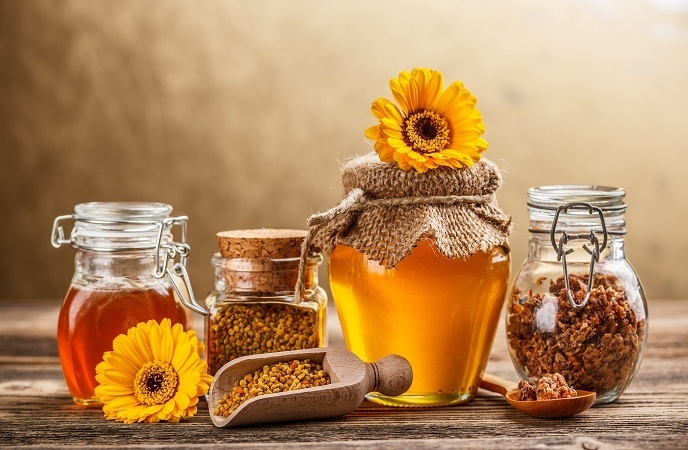 Some fixings can help to nourish your own hair if you use them to apply directly onto your scalp and hair, and honey is among the best things for you to make use! 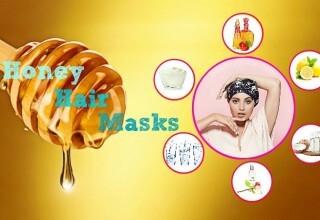 Honey comprises a lot of vitamins and minerals needed for hair growth. Moreover, it can work well as humectant which can help to pull moisture and remain your hair hydration so that your hair will not be damaged and broken after all. 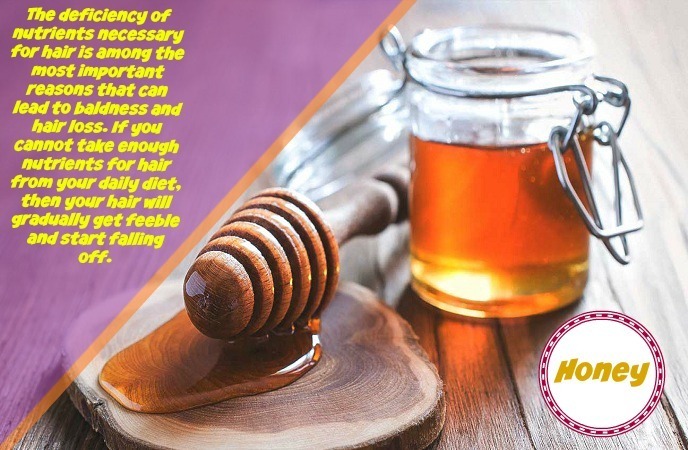 Honey is actually one of the most amazingly useful foods for hair growth and thickening that supplies sufficient and vital nourishment to it. Yogurt or Buttermilk – 1 tsp. Coconut oil or olive oil – 1 tbsp. Blend all ingredients well to create a nicely mixed combination. Allow it to stay still within about fifteen to twenty minutes. Add honey and yogurt to warm oil. In case you have greasy hair, instead of yogurt, you should opt for buttermilk with the same method. Make your hair damp with clean water. After washing the hair, make use of the home-made conditioner you made before. Warm the oil mix and keep it always warm. Do not use hot oil to apply onto your hair as it can make your hair texture dry. Apply the home-made conditioner right onto your hair and wear a shower cap to maintain the heat! Reapply this method 1 time per week or fortnight. Coconut oil or olive oil – 1/2 tbsp. Dehydrated Sage – 1 tbsp. This could be considered a wonderful cure for your own hair if you are suffering from hair loss, hair thinning, or gray hair. 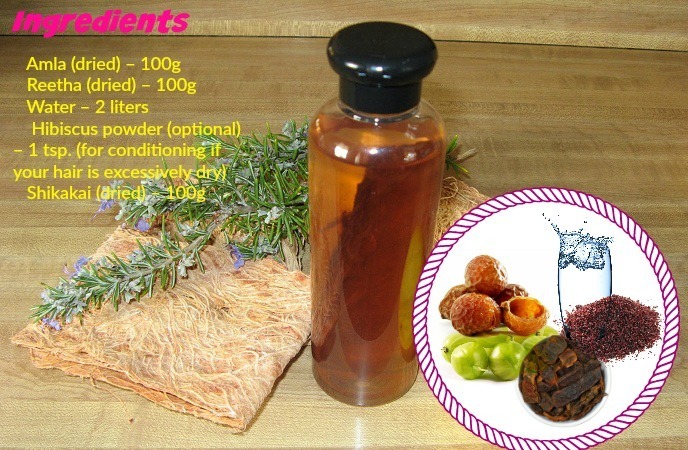 This home – made hair mask is a fine combination of hibiscus and curry leaves that can help to deal with and beat off hair fall and will not just help to reinforce your hair from the roots to the ends but may also offer glowing hair treatment for your current hair issue (hair loss, hair thinning, or gray hair), as well as bringing about soft sleek hair appearance. Use a pestle or mortar (or blender) to crush the hibiscus leaves so that you will have a fine paste. Try adding some water if you want. Apply the hibiscus mask onto your own hair after oiling your hair! Allow the mask to stay still within around 60 minutes. Apply this method one or two times per week for three to four weeks at least. 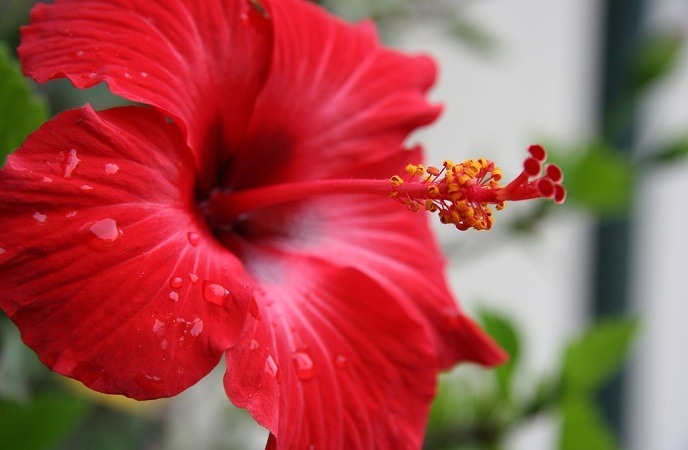 The lovely hibiscus bloom contains large amount of Vitamin C, making the use of it one of the best tips on how to get thicker hair naturally at home. Besides, it acts effectively as a natural emollient. In addition, its astringent and moisturizing properties make it appropriate for both dry and greasy hair. 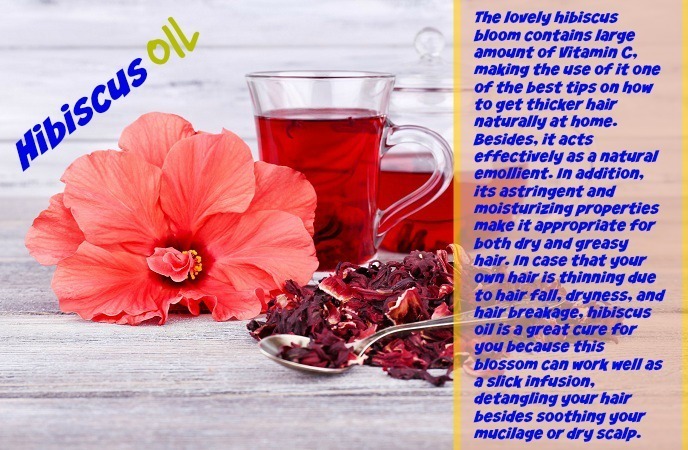 In case that your own hair is thinning due to hair fall, dryness, and hair breakage, hibiscus oil is a great cure for you because this blossom can work well as a slick infusion, detangling your hair besides soothing your mucilage or dry scalp. 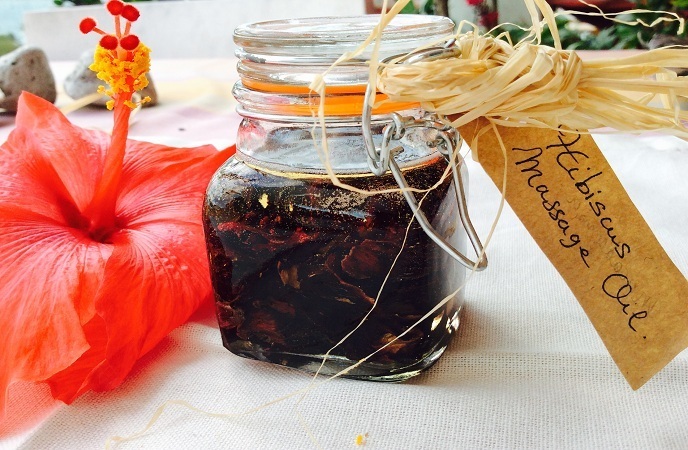 Use a mortar or pestle to crush the blossoms together with hibiscus leaves to create a paste. 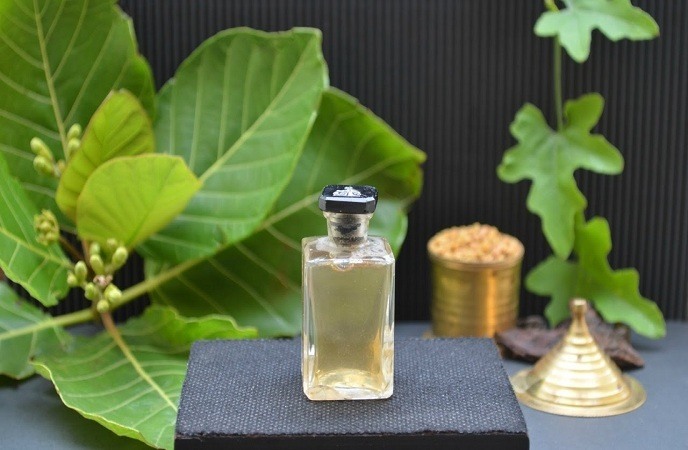 Use this special home – made hibiscus oil to apply directly onto your scalp and hair your hair and scalp thoroughly. You need to allow the oil to stay still on your scalp or use a warm towel to wrap your hair within twenty to thirty minutes. After that, wash your hair with Reetha Amla Shikakai shampoo or any regular type of shampoo you like, and you will feel a great sense of thickness added to your hair after just a few days. If you want to notice quicker and stronger results, you might prefer to create your own hibiscus hair mask at home with our very next recipe, use it to apply directly onto your hair before rinsing it off completely. 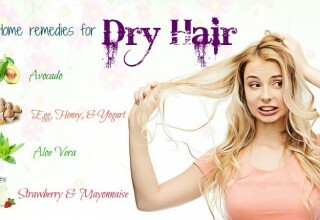 Ayurveda tells us about 4 fine herbal remedies that can bring about superb bright hair with a brand new voluminous look. These 3 ingredients include Shikakai (Acacia concinna), Amla (Indian Gooseberry), and Reetha (Soapnut). You may already know the power of amla in growing hair and reducing hair loss (as mentioned above); however, a brand new combination of this herb with the 2 powerful ones listed above will amaze you a lot. As you might suppose from its name, soap-nut or reetha, is actually a wonderful natural cleansing assistant that can help to remove all stubborn microbes presented on your hair and scalp. It can help to nourish the hair by giving it a natural feeling as well as wrapping away the dandruff issue. Shikakai, meaning fruits for hair, can keep its natural oils and also help to balance your scalp’s pH balance effectively! It conditions and reinforces our hair in a way which may increase the hair volume noticeably. You should make use of these 3 herbal remedies as it is possible to make your own herbal shampoo at home for hair thickening support. Add shikakai, reetha, and amla, and mix them well together. Mash them well using a masher. Once it is cooled down, try mashing all ingredients to get the extracted the final juices of the ingredients. You will see some froth that is expected to soap-nut or reetha while mashing. Let the mix stay overnight. If your hair is too wet, you may feel this shampoo somehow rough for your hair. Try using hibiscus powder in such scenario as a fine and available hair conditioner. Mix some water with the powder to make a paste to apply directly onto your hair. Let it stay for a while and rinse your hair off after all. Make use of the remainder for your very next hair washes and remember to clean your hair after all. In the nowadays, the importance of hair is as great as fashion when it comes to the whole appearance of an individual, so all of use need to give our hair better care in order to get more youthful appearance. Read the full list of tips on how to get thicker hair above and try making use of the natural remedies suggested as soon as possible! If you have anything to ask, feel free to leave your questions in the section below!